Sacca Sessola are now exclusive hotel islands. 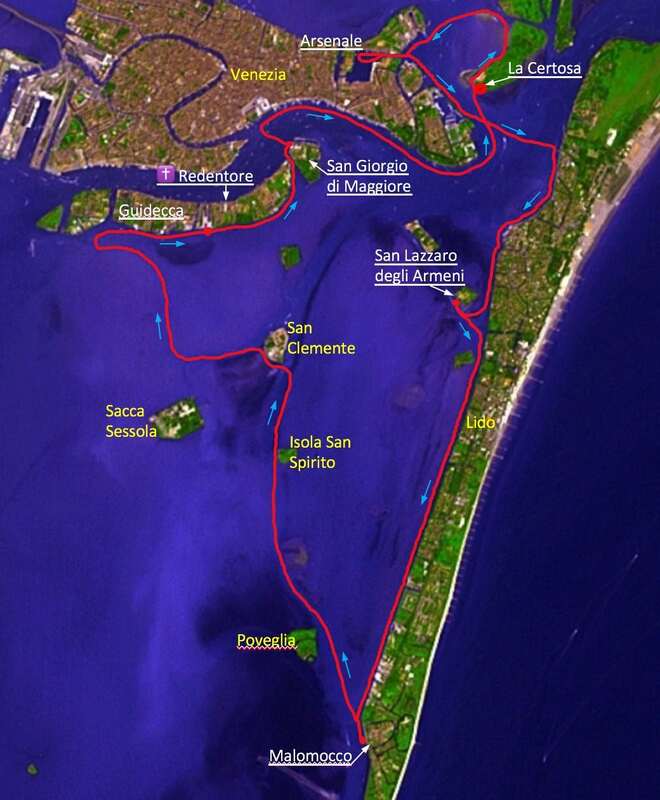 The Southern Lagoon is defined by the long stretching islands of Lido and Pellestrina on the sea side. Some of the small islands like Poveglia and San Spirito are abandoned today but have fascinating histories. Others like San Clemente or Sacca Sessola are now exclusive hotel islands. The Tour: Starting from Certosa into the Arsenale, then to the south. 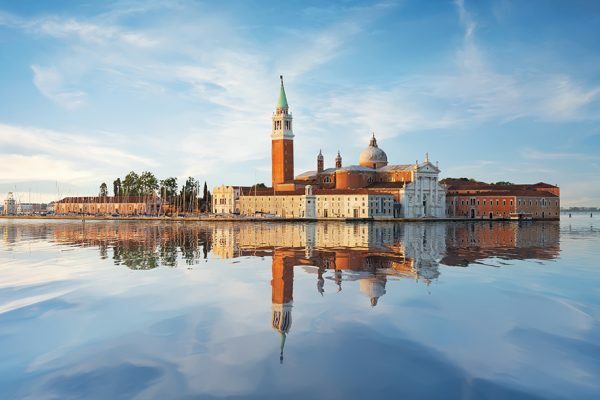 Stops and visits: San Lazzaro degli Armeni, Malamocco, Lunch in/at Malamocco or Venetian lunch on board, Giudecca – Redentore Church, San Giorgio Maggiore, then return trip to Certosa along Piazza San Marco, Giardini, Sant’Elena. Catering: Snacks and Drinks on board; “Venetian lunch on board” on request. Boat: Each of our tour boats is suitable for this tour. Optional Extras: Private Photographer on Board. *You can book a half-day tour including lunch on board, if you wish. Stops and route correspond to the 8-hour tour, you can choose from two of the five stops mentioned above. with 99 “squeri” (individual shipyards) and up to 6,000 workers. It is also the first assembly production line in the world. The journey starts from Certosa with a visit to nearby Arsenale, which was the largest medieval shipyard in Europe with 99 “squeri” (individual shipyards) and up to 6,000 workers. It is also the first assembly production line in the world. The first stop is made at San Lazzaro degli Armeni. Eastern Europe and Asia, particularly Armenian texts. The first stop is made at San Lazzaro degli Armeni. This monastery is the birthplace of the Mechitarist order and has made the island one of the most important centers of Armenian culture. The monastery has a library of 200,000 manuscripts with an impressive collection from Eastern Europe and Asia, particularly Armenian texts. small town of Malamocco, guests can stroll through the medieval town center. the theme “Culture & History”. The tour continues south along the Lido until we reach the small town of Malamocco, guests can stroll through the medieval town center. For lunch, we can reserve a restaurant in or near Malamocco or serve a typical Venetian lunch on board your ship, in keeping with the theme “Culture & History”. Heading back north, the journey takes you by the “scary” island of Poveglia, Isola San Spirito and San Clemente to Giudecca, where you will stop after 45 minutes at the Consorzi Cantieristica Minore shipyard on the rear side of Giudecca. From there it is only a short walk to the famous Redentore church built by Palladio and opposite San Marco. bell tower with its full sights of St. Mark’s Square and the Dodge Palace! Giardini (Biennale grounds) and Sant’Elena. This concludes your day tour. From Giudecca we continue to our last destination San Giorgio Maggiore with its famous church, (as seen on many Venetian postcards) rebuilt according to Palladio’s plans. Don’t miss the view from its bell tower with its full sights of St. Mark’s Square and the Dodge Palace! The return trip to Certosa, will pass by St. Mark’s Square, Giardini (Biennale grounds) and Sant’Elena. This concludes your day tour. The perfect mix of power and quietness, fully respecting the environment. To help you live a tailor-made experience, and discover the secrets of the lagoon. For sailing without worries, while relaxing and enjoying an unforgettable tour. Please note that our 2019 season goes from April 5 to November 10.